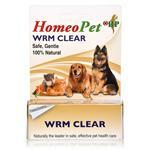 It's important to deworm your pet cat at regular intervals using high-quality products. 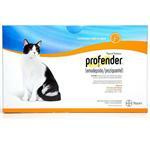 Some pet parents think that cats that stay indoors do not need to be dewormed. 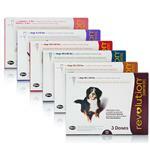 This is a myth that can severely compromise your cat's health. The truth is most cats are born with worms. 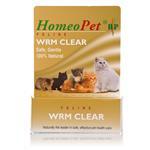 This is because worms are often transferred from mothers to kittens in the womb. On the other hand, heartworm in cats are transmitted by mosquitoes and has little do with your pet staying indoors or outside. 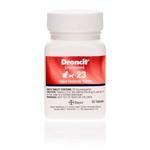 The best course of action is to put your cat on a regular deworming plan. 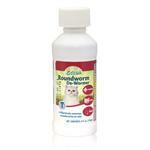 Chewable deworming products such as Heartgard and Drontal Feline work amazingly well as preventives and killing existing worm populations. However, it's important to remember that a single product often does not contain the ingredients to treat all types of worms. 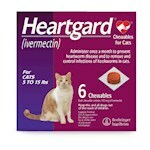 For example, HeartGard which uses Ivermectin is specifically manufactured to kill heartworms and does nothing to stop tapeworm in cats. 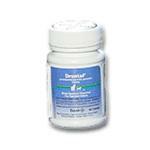 Similarly, Drontal Feline destroys hookworms, tapeworms, and roundworms but it does not contain the ingredient to stop heartworms. 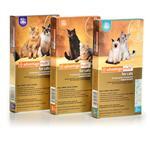 Ask a vet to find out the best deworming meds for your cat. 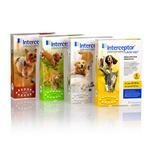 No matter what the vet recommends, you can be sure to find it right here at PetCareRx.